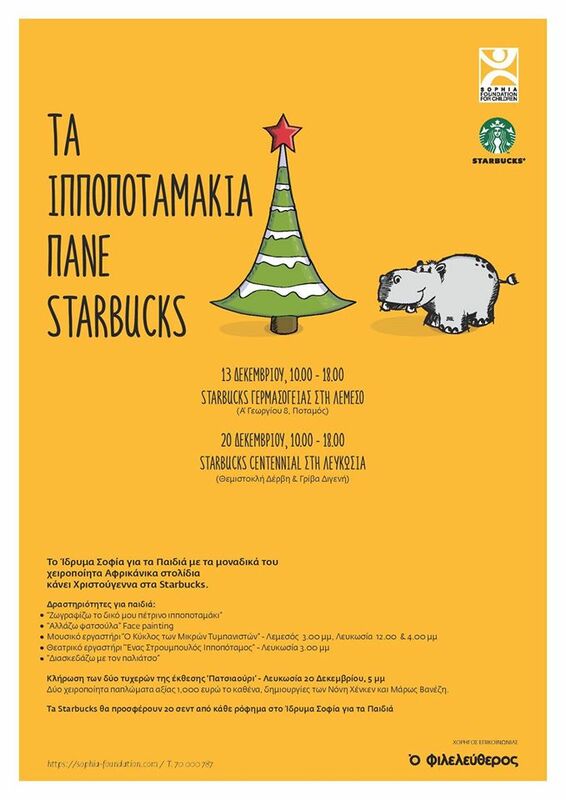 On December 13, 10.00 – 18.00 in Starbucks Germasogeia Limassol. On December 20, 10.00 – 18.00 in Starbucks Centennial in Nicosia. Handmade Christmas ornaments and gifts made in Kenya will be sold from 10 am to 6 pm, along with Starbucks favorite drinks. On that day, 25 cents from each beverage will be donated to Sophia Foundation for Children.